Leasing office equipment is a great choice because technology changes rapidly, so it can be advantageous to have access to the most advanced office equipment. It will improve your efficiency and lead to the best results. Instead of having to purchase equipment outright, you can swap an older unit out for a newer and more advanced piece of equipment after the lease ends. This will improve the productivity at your office. With more available capital, you can predict your monthly budget with greater ease. 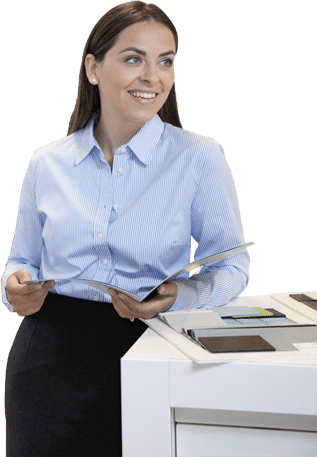 The details in a copier lease, however, will vary based on the contract, so you have to ask questions and mull over the details thoroughly before you sign a lease. When it comes to office lease options, you will usually get several options to choose from, but since you are signing a contract for 36 to 60 months, you should understand the commitment in advance. The important clauses inside a lease may include an automatic annual renewal, fair market value clause and a $1 purchase option. Finding out the information inside your lease guarantees that you will make the best decision in advance.